Continuing the campaign aga­inst the H1B visa scheme in the US, a fresh bill has surfaced in the US parliament which has the potential of both benefiting and harming Indian IT companies, one of the largest beneficiaries of the H1B visa scheme for sending skilled workers to the US. The new Bill—Immigration Inno­va­t­ion­ (I-squared) Act of 2018—was ­proposed by Republican Senators Orrin Hatch and Jeff Flake recently and has the backing of several Silicon Valley bigwigs including Microsoft and Facebook. What should be sweet music to Indian IT companies in all this is that this bill does not seek cutting legal immigration but actually proposes to increase it. The bill proposes to increase the number of H1B visas issued by the US government from the present 65,000 a year to 85,000 a year. This bill comes at a time when there is heightened demand and activity in the US to curtail immigration and put tighter curbs on the H1B visa scheme. 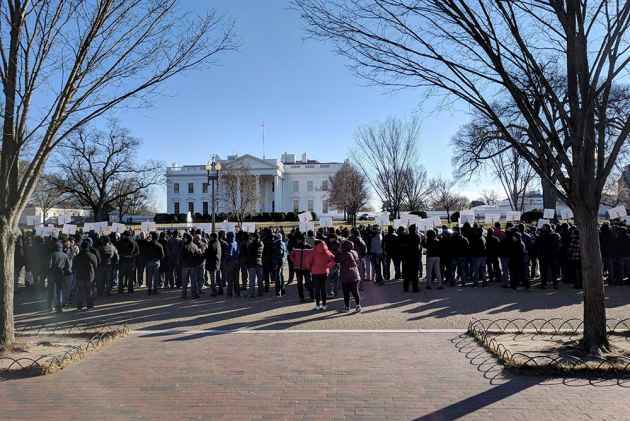 Only recently, there was a proposal to not extend the H-1B visa of those waiting for permanent residency or a Green Card, which, if cleared, is ­expected to aff­ect half-a-million Indians working in the US. This proposed policy means that if visas are not extended at all, or extended for just one year, several H1B visa holders might have to return to India. According to rough estimates, between 5,00,000 and 7,50,000 people might be affected by the move which could affect Indian companies and their numbers severely. Before that, another legislation—the Protect and Grow American Jobs Act, HR 170—introduced by Republican US representative ­Darrell Issa—was passed by voice vote in the House Judiciary Committee of the US Congress. The bill proposed to raise the minimum salary of H1B visa ­holders from $60,000 to $90,000 as well as to put a check on the work visas used by a slew of Indian companies who send ­their workers to the US. This was preceded by another bill floated in the US Congress to control imm­igration, particularly through H1B visas. In September, senators Tom Cotton and David Perdue proposed the Ref­o­r­ming American Immigration for Strong Employment (RAISE) Act, which aimed to reduce the number of legal migrants (Green Card holders) allowed in the US by 40 per cent in the first year and by 50 per cent in over a decade. According to senator Orrin Hatch, the ‘I-Squared’ Bill would contain a streamlined Green Card process for high-skilled workers and also impose strict penalties for companies that use H1B workers to displace American employees. It will also create a better procedure for H1B workers who wish to stay in the US long-term to change jobs so that employers cannot lock them in at below-market wages. Experts feel the Bill is another step by the Trump administration’s stated ­resolve to move away from the existing H1B visa based immigration system to a merit-based immigration system which will attract only the best and brightest talent from across the world. It is well known that Trump wants to bring about merit-based immigration reforms and move away from the current process of ­extended family chain migration. The matter of concern for Indian IT companies is that the Bill proposes to prevent the use of the H1B visa system by companies to outsource jobs at the cost of American jobs. Accordingly, it proposes to increase visa fees and enable the US government to raise around $1 billion from increased visa fees to fund science and technology education. 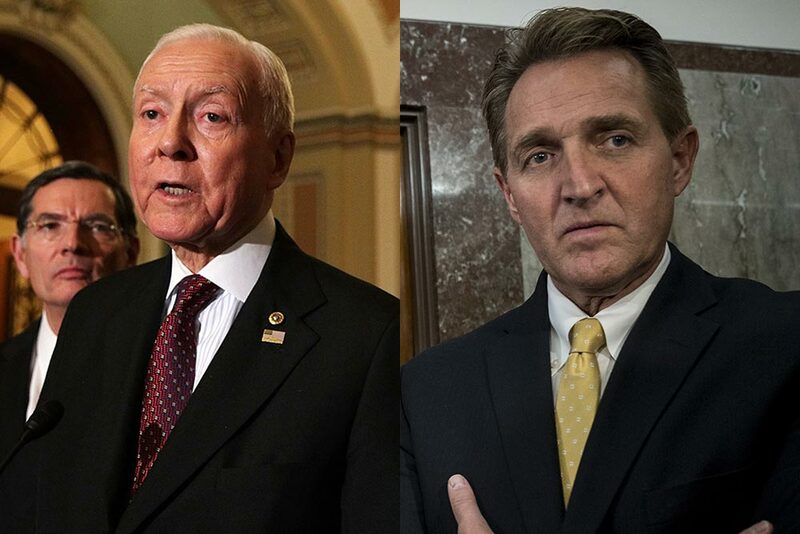 Proposed by senators Orrin Hatch (top left) and Jeff Flake, the new bill has the ­backing of several Silicon Valley bigwigs. Another proposal of the Bill is also ­expected to hit the existing practice in Indian IT companies. The bill proposes to impose stiff penalties on companies that do not deploy professionals with H1B visas within three months. Currently, many Indian companies have the practice of obtaining H1B visas for their workers but keeping them on a stand-by in India till a project demands more people. This will have to stop if the bill is passed. Caceres adds that even with the ­inc­­reased visa numbers, the chances of getting a visa in the current lottery system will remain the same because the denial rate of the H1B visa has increased from 7-10 per cent in the year 2007 to a sta­g­gering 41 per cent in 2017 under the Trump Administration. Also, with other ­restrictions related to hiring in the US, companies will be forced to hire locally. Given the difference in salary between American and Indian workers, this will increase the wage bill of the companies. “This will encourage Indian IT companies to hire locally and that has already begun in a large way,” says Vivek Tandon, Founder and CEO, EB5 Brics. “Wipro, TCS, Infosys and Cognizant are already hiring more locally in the US.” Imposing stricter barriers to H1B visa categories will also force com­panies to expand their operations in more open countries such as Singapore, Mexico, Chile and Ireland. Experts also say that with the restrictions and attack on H1B visas increasing, many Indian companies have moved away to the easier EB5 visas, which call for an investment of $500,000 for a direct Green Card. Last year, while there was an increase of 70 per cent in the demand for EB5 visas, the number of H1B visa petitions filed by the top seven India-centric IT firms dropped by 37 per cent in a year and 50 per cent in two years. It is clear that the H1B visa regime is set to change and soon, especially in an atm­osphere where there are repeated att­acks on the H1B scheme. Indian companies will have to prepare themselves for this ine­vitability. With the coming in of newer ­delivery models, Indian companies will have to adapt to new skill sets if they want to ­remain competitive in the fast cha­n­ging US IT landscape.